Jennifer Marie Morrison is an American film actress, producer, director, and model, who won the love of the audience after starring in the legendary television series House M.D. and Once Upon a Time. Jennifer was born on April 12, 1979, in Chicago. Soon the family moved to Arlington Heights, Illinois. Here the future actress spent her childhood and youth. Jennifer is the eldest of three children of teachers David L. and Judy Morrison. Besides her, the couple raised daughter Julia and son Daniel, for whom Jennifer cared, being their older sister. Jennifer Marie was an exemplary student and did not cloud the lives of her parents with troubles. The girl did well at school, played the clarinet and sang in the choir. Morrison was chosen to be the leader in the cheerleading squad organized by the school. After graduating with honors from the school where her parents worked, Jennifer enrolled at Loyola University Chicago. Here the girl studied English and literature in depth, was engaged in acting, with which she became interested in high school. The attractive appearance of Jennifer Morrison did not go unnoticed by modeling agents, and for a while, the girl worked in the fashion business. 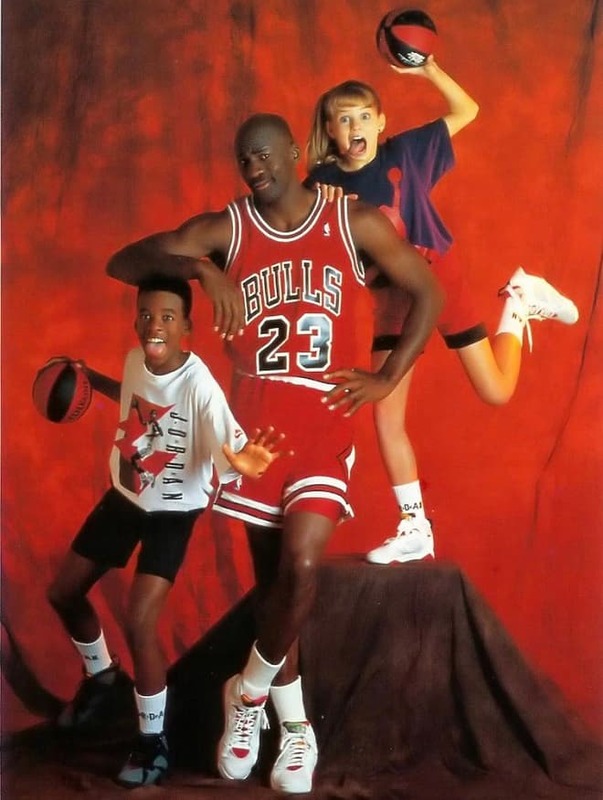 In 1989, Morrison even took part in the photo shoot for the cover of Sports Illustrated for Kids together with famous basketball player Michael Jordan. But thoughtful and serious Jennifer never considered this work to be her whole future. After graduating from University, Jennifer continued to develop acting skills in special classes, after which she entered the Steppenwolf Theater Company. Only then she went to Los Angeles, where she was going to make a career as an actress. Jennifer Morrison's cinematic biography began at the age of 14. The girl played the daughter of the main characters of the film Intersection. Then Jennifer got an unforgettable acting experience because Richard Gere and Sharon Stone played her parents in this film. In the following years, Morrison appeared in episodes of several TV series, including the shows Touched by an Angel, Dawson's Creek, Any Day Now. The most striking were the roles played in the films Miracle on 34th Street and Stir of Echoes. Jennifer Morrison got her first leading role in 2000. The young actress received an offer to star in a horror film called Urban Legends: Final Cut. This project not only brought the aspiring actress fame but also pushed her to hire a personal agent. At his insistence, Jennifer went to Los Angeles after graduating from acting school. New proposals were now pouring down on Morrison like from a cornucopia. The actress starred in several American series and feature films, among which the three most famous movies were comedy film starring Chad Donella, 100 Women (also known as Girl Fever), adventure sports film Grind, and the romantic comedy film Surviving Christmas, in which Ben Affleck played the main character, Drew Latham. Morrison's height (5 feet 47 inches) and weight (117 pounds), as well as the obtained acting skills, allowed the girl to get into versatile characters easily. Jennifer Morrison in the television series House M.D. Another starring role was waiting for Jennifer Morrison in the mid-2000s. The actress appeared in the mega-popular series House M.D., in which she played the role of immunologist Allison Cameron. This project became a hit in many countries where it was broadcast. Morrison, along with other characters of the series, played by Hugh Laurie, Lisa Edelstein, Omar Epps, Robert Sean Leonard, Jesse Spencer, received a resounding success. In 2013, the series House M.D. got into the Guinness World Records book after a recorded viewing of 80 million people. Continuing to act in the following seasons of the series, Jennifer managed to work on the set of other projects. The most striking of them were The Murder of Princess Diana, Table for Three and Big Stan. In 2005, the actress was featured in the romantic action comedy film directed by Doug Liman, Mr. & Mrs. Smith, which brought great popularity to the actors who played the leading roles, Brad Pitt and Angelina Jolie. In 2007, the actress got onto the list of the most sexual stars of America. Also, Morrison was nominated for the Screen Actors Guild Awards. In 2010, Jennifer played the role of Zoey Pierson in the sitcom How I met your mother, which was broadcast on CBS for five years. The action of the series took place simultaneously in 2030 and the beginning of the 2000s and revolved around one family and the story of how it started. The television series received high view rate, and because of that, it lasted on TV screens for nine seasons. A new stage began in the filmography of the actress after leaving the project House M.D. Jennifer starred in the sensational movies Knife Fight and Bringing Ashley Home. In 2011, the girl played the leading role in the film Warrior, which won an Oscar and was a supporting actress in the police procedural drama television series, Chase. In the same year, the star rose to new career heights. Jennifer signed a profitable contract to star in the fantasy drama television series Once Upon a Time. In this series, Morrison starred for several years, in seven seasons the actress played the role of a fearless detective Emma Swan. The main cast of the film also includes artists Lana Parrilla, Colin O'Donoghue, Josh Dallas, Jared S. Gilmore, and others. Among the latest projects of Jennifer, critics noted the movie Star Trek: Into Darkness and the thriller film Event 15. Besides, in 2014, a popular romantic comedy film called Alex & the List was added to Morrison's filmography. The actress appeared in the character of Katherine Stern, who presented to her lover a list of changes that should turn their relationship into a perfect one. In early 2007, the media reported on the engagement of the actress with a colleague from the television series House M.D. Jesse Spencer. Fans of the series were happy for the star couple, expressing emotions on their accounts on social media. But the joy did not last long. Six months later, the actors announced that they had broken up the relationship and the engagement. It soon became known that the star began a new romantic relationship with actor Amaury Nolasco. But this affair was also short-lived. The relationship with Sebastian Stan took the place of the previous affair. Jennifer met this actor on the set of the television series Once Upon a Time. In late 2013, the couple broke up, Sebastian never became the husband of the actress. Jennifer still pays a lot of attention to work, leaving no time for a love life. Her Instagram account, where the actress posts photos from her private life has 1.3 million followers as of autumn 2017. In 2016, two motion pictures featuring Jennifer Morrison came out. The actress played in the supernatural horror film directed by Greg McLean, The Darkness, in the supporting role of Joy Carter; and appeared in the movie Albion: The Enchanted Stallion.